Market heading into seasonally strong period, end of January into early Feb. February itself has been strong first week. This shows that over the past 24 years, the end of Jan into beginning of Feb has, on average, been strong (this doesn’t guarantee the same path of gains, just that when this pattern has occurred, the market produced more winners or bigger winners.). 2. SPY/ES futures has shown signs typical of momentum which usually carries it higher going out 2 weeks, though not without some form of consolidation first. SPY closes at an ATH on the biggest up day in 20 days. This shows some emotional trading and chasing, which does carry some mean reversion. 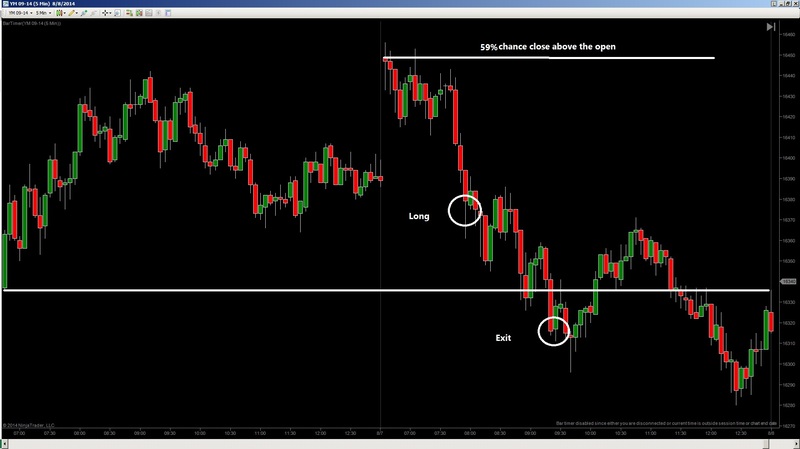 What happens if you bot the close, sold it 1, 2, 3, 4, 5…xdays later? Generally, the market continues to trend up after a few weeks, on average. Again, this doesn’t guarantee the same path of gains, just that in the past, when this pattern has occurred, the market produced more winners or bigger winners. 3. But also QQQ and NQ futures as well: QQQ up 15 of the past 20 days. What happens if you bot the close and sold 1, 2, 3, 4, 5….x days later? Summary: Market showed signs of momo, which doesn’t just rollover and die in a A shape peak. Typically results in some form of continuation. I don’t expect the market to match the past 100%, but these patterns have produced either more winners or bigger winners when they occurred. Feb and March has also historically been strong. Given these historical repeating tendencies, my bias is long. Over the next few days/weeks I will be adding more content on this blog. I am in the process of moving older stuff over so this is a heads up. These uploads will also have a lot of trader mindset tidbits I learned over the years.